At TRG Communities, we are remembering a dear friend and co-worker, Jim Beischer. He was a dedicated team member with TRG Communities and Dan Ryan Builders for a number of years and his kind spirit, leadership, and perseverance is already deeply missed. Jim served as one of the first sales agent in Carilion when it first broke ground. His tireless dedication is clearly seen throughout the success of this community. Our team is currently exploring opportunities to remember Jim Beisher's legacy to the Upstate real estate community. Memorials may be made to the American Heart Association, 3535 Pelham Road, Suite 101, Greenville, SC 29615 or to the Knights of Columbus, Council 1668, 762 Mauldin Rd., Greenville, SC 29607. 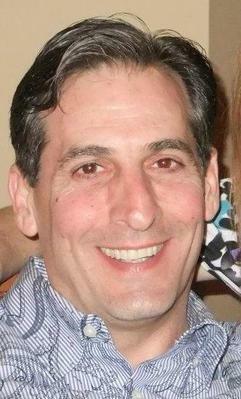 James Paul Beischer, Jr., 53, loving husband of Kirsten Fine Beischer, died Sunday, March 23, 2014. Born in Carbondale, PA, he was the son of Virginia Rotell Beischer and the late James Paul Beischer, Sr.
Jim graduated from Western Wayne High School in Lake Ariel, PA in 1978 and earned a BS in Communications from Marywood University in Scranton, PA. He was a Real Estate Agent for Dan Ryan Builders and attended Prince of Peace Catholic Church, Taylors, SC. He was active as a volunteer at Our Lady of the Rosary Church in Greenville, SC where he was deeply committed as a Lector and a devout Catholic. He was also a Fourth Degree Knight with the Knights of Columbus Council 1668 of Greenville, SC. Jim was a great cook and loved to share his dishes with family and friends. Surviving, in addition to his wife and mother, is his cherished daughter, Alexandra Carley of Charleston, SC. Also surviving are a step son, Sebastien Gerber of Mulhouse, France; a brother, Christopher (Gigi) Beischer of Cliffside Park, NJ; and numerous nieces and nephews. He was preceded in death by daughter, Gabrielle Anita; sister, Anita Marie; and brother, Jeffrey Phillip. Visitation will be held Saturday, March 29, 2014 from 9:30 to 12:00 p.m. in Croghan Hall at Prince of Peace Catholic Church. The Funeral Mass will be celebrated at 1:00 p.m. at Prince of Peace Catholic Church with a reception immediately following the Mass. A celebration of Jim's life will be held at the Knights of Columbus at 4:00 p.m. on Mauldin Road.